Q. The fundamental premise of this site is God as Mother. The idea that the feminine form of God is supreme: not sharing Her deity with any male god. Is that correct? Q. A lot of people will immediately object that God is beyond gender. A. Yes, they will. And they will be right. Naturally, God is unaffected by any human gender. However, everywhere God is seen in human form. 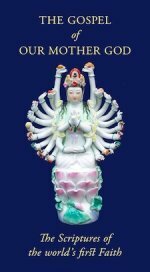 Even the Buddhists, whose starting-point is to conceive the Absolute in wholly abstract terms, quickly return to human-like objects of worship: Buddha figures, Tara, Kuan Yin. Any Mahayana Buddhist can tell you that a Buddha is the Absolute. The Buddha-nature in each of us is our unrealised oneness with the Divine. Q. The way modern Western people see this is that people need to picture God as being like ourselves, even though She is actually an abstract Absolute. Is that the correct way to see it? A. No, that understanding is quite wrong. God is not abstract, like an idea in our minds. God is not a force, like magnetism or electricity. God is infinitely greater than us. Now, what are our highest attributes? Our highest attributes are intelligence and personality. Do you think God, being infinitely greater than us, has no intelligence and no personality? No. She has Intelligence and Personality to a degree we cannot even begin to imagine. Far, far above everything we know. A force or an abstraction is below us, because it has neither intelligence nor personality. God is far above us. Q. So we are not "making God in our image" as the modern Westerner thinks. She has made us in Her image? A. Exactly. We are each like a tiny, scaled-down reflection of a certain aspect of God's Infinity. Vedic doctrine speaks of God-beyond-Form (nirguna brahman) and God-with-Form (saguna brahman). Now, please do not fall into the modern Western error of thinking that God-with-Form is just the way we humans picture God. That is part of the human-centred thinking of the modern West. If the universe exists, God-with-Form exists. God-with-Form is God as She relates to Her created universe. Q. But the image of God in human form – is that not human-centred? A. You have to understand what a human is. The modern Western person thinks a human being is an evolved monkey who came by accident from a piece of mud. Actually a human being is descended from the highest realms until her feet touch this earth. She is a tiny spark from the Divine Sun, and her destiny is to return to Her. The human being is microcomos the whole created universe in miniature. She is a walking image of the Divine. Q. So of the two human sexes, you believe that the female represents the Divine? Shouldn't there be a balance? A. That is an interesting question, and it is always one of the first questions asked when we worship God as Mother. It is not asked of Christians or Moslems "Why isn't Allah feminine as well as masculine?" So the first answer we will give is this: for some people, for some forms of society, God as Father is necessary and right. For others, God as Mother is necessary and right. For some a balance between the two is needed. But some see God just as Father and others see Her just as Mother. The Vedas tell us that God-with-Form can be seen in three ways: as Siva, Visnu or Devi. Devi means Mother Goddess. God as Mother. This is a writing of the patriarchal era. Actually, Devi – God as Mother – came first. Combining the Divine with Mother seems to have been humanity's earliest spiritual experience. The terracotta figurines of the Mother Goddess, recovered in excavations at various Indus sites (now mostly in Pakistan), are not only the earliest manifestations of the Divine Power ever known in any medium, but are also suggestive of a well-evolved Mother Goddess worship cult. And we find the same thing all over the world. God as Mother comes first. 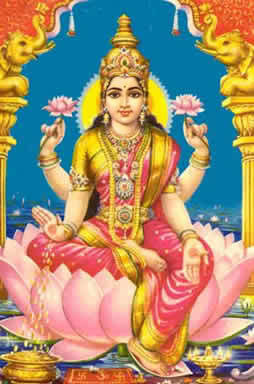 In India, the current cultus of the Supreme Goddess arises in the mediaeval period, but it is not a new thing. It is a return to the first religion. Q. So it is a matter of temperament, or perhaps more exactly of one's svadharma: one's special nature in relation to God? One can see Her as Mother, or Father or as both. But there has to be a place for the Supreme Mother alone as sole Deity. A. Yes, absolutely. We are not saying that everyone should worship God as Mother. Actually, in this patriarchal age, we are likely always to be a small minority. We respect all orthodox faiths. But we know that for some of us God as Mother – not mother/father, but the pure original worship of God as the Supreme and Absolute Feminine Creatrix – is a heart-need. That is who this site is for. Just those people who have that need. Q. Sometimes the site seems to talk as if the Faith of God as Mother is the only true religion and patriarchal cults are a perversion of this. Is this what you believe? A. No. We believe all orthodox religions are true. And we certainly have no wish to offend any faith. But you need to understand something about the psychology of traditional religion. Not psychology in the modern human-centred sense, but the psychology (study of the soul, or psyche) of maid as a spark of the Divine Sun. When we worship God, what we see is the Absolute. The Absolute-with-Form, and the Absolute with one of Her particular Forms. But this is still the Absolute. So in human religion we each endow our particular path with all the glory and all the "rights" of the Absolute. That is why religions have a tendency to claim "Ours is the Only True Religion". In a sense they are right, because theirs is the religion. All religions are. This is normal. When we look at the rising sun on the water, the trail of light comes directly toward oneself. That does not mean that it is not coming directly toward someone else. From her perspective it is, but from our perspective it is not. That is the mystery of religious exclusivism. It expresses an important truth, provided we do not take it over-literally. The problem arises with the patriarchal spirit of strife and contention that comes to the fore in Kali Yuga, where one religion says to another: "The stream of light is pointing at US. We will kill you if you cannot see that." We do not take that view! Q. But you do see the worship of God as Mother as the Pure, Original Faith. Yes, we do. That is our perspective. The worship of God as Mother came before all other devotions. We know that. We also believe that Feminine is not just the converse of masculine. We believe that the Feminine Mother-Nature is the original state of being, and the masculine is one possible deviation or branching-off from that. In this world it is the main one. In other worlds that might be different. But the Feminine Nature is the original and fundamental. That is why people talk about the Eternal Feminine (ewige Weiblich), not the Eternal Masculine. Q. You have pages here on many aspects of God as Mother from different cultures and time-periods: some still living and some historical. You are not attached to any current patriarchal faith. So is this a sort of eclectic, New Age mish-mash, gathering bits from here and there and making up a religion? A. That is certainly not our intention. The problem with modern eclecticism is that everything is tied together with false modern notions. Modern psychology, evolutionism, recent political ideologies, bits and pieces of popularised (and often semi-accurate) "science" and the whole anti-traditional world-outlook of the last few Western centuries are the glue that holds together various out-of-context scraps of traditional Wisdom. From a spiritual point of view this is rather like fitting odds and ends of genuine geographical information into a flat-earth framework. For our part, while we do look at varying traditions of God as Mother, we attempt to see all this traditional information from an authentically traditional perspective; and perceive, underlying all the representations of God as Mother, a common theme and Unity that is not of this Age, but Eternal. If our Devotion has an advantage over others, we would say that advantage is that it is the first and purest faith. Its disadvantage (and we are fully aware of this) is that it is not part of a living stream with an Initiatic succession. Because of this, we believe it is right to have a very simple and humble devotion. We do not believe in playing with the Initiatic Methods that have been improperly exposed in some Western books. These cannot be safely or rightly used outside a living tradition and with a fully-qualified and wholly traditional guru. Q. So what forms of devotion to God as Mother do you advocate? Ours is a simple devotion that relies on Our Mother's promise that none shall call upon Her and be lost. We know that we are very small children in a very humble and fallen Age. We are far from thinking that the "horizontal" explosion of information and material technics typical of the very late Kali Yuga gives us the right to play with advanced spiritual techniques. There is, however, an advantage to this latter end of the Yuga, and that advantage lies solely in the mercy and compassion of Our Lady, not in any imaginary human "advancement". In these last days, when material technics may be at their greatest, but our souls and true Intellect are smaller and weaker than they have ever been before, Our dear Mother compensates by making worship easier than it was in the past. Prayer at home shrines, the chanting of Her Names, simple devotional services: these are among the methods we advocate. With no pretensions to spiritual superiority, we just call, as very small and simple children, upon the unfailing love and compassion of Our Dear Mother. That is the whole of our devotion. We invite you to look at our pages on different aspects of God as Mother. Each one, we believe, will deepen your understanding of, and love for, Her. If you feel called to the worship of the Supreme Mother, if you know, as we do, that this is the only way in which you can see God, please call upon Her as a little child and ask Her to guide you. We are very lucky, because Our Mother takes pity upon us at every step. 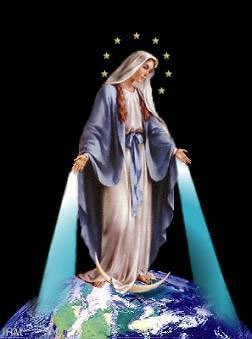 Dearest Mother, in all creation there is none like You, for You are the Single Source of all that is. Your kindness and Love are beyond all earthly love. Your Beauty is beyond all other beauty, for every earthly beauty is but a tiny fragment of Your Beauty. Guide us, Dear Mother, in the way of Your devotion.